Your Ability is providing an online healthcare portal where everyone can realise their full potential. 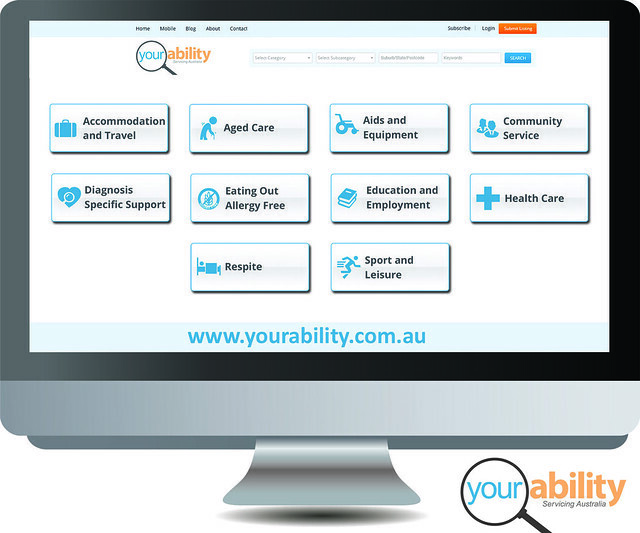 Your Ability is giving healthcare organisations, businesses, products and services, charities, community groups, workshops and programs a central online hub, to connect to all individuals with healthcare needs. Australia’s premium healthcare hub. Finding healthcare products and services is easy with Your Abilities simple user-friendly recognition buttons. Large user-friendly buttons providing all users with easy access to many sub category healthcare choices. Connecting users instantly to healthcare choices they deserve. 10 healthcare categories where an organisation, business, product or service, charity, community group, workshop or program can list.